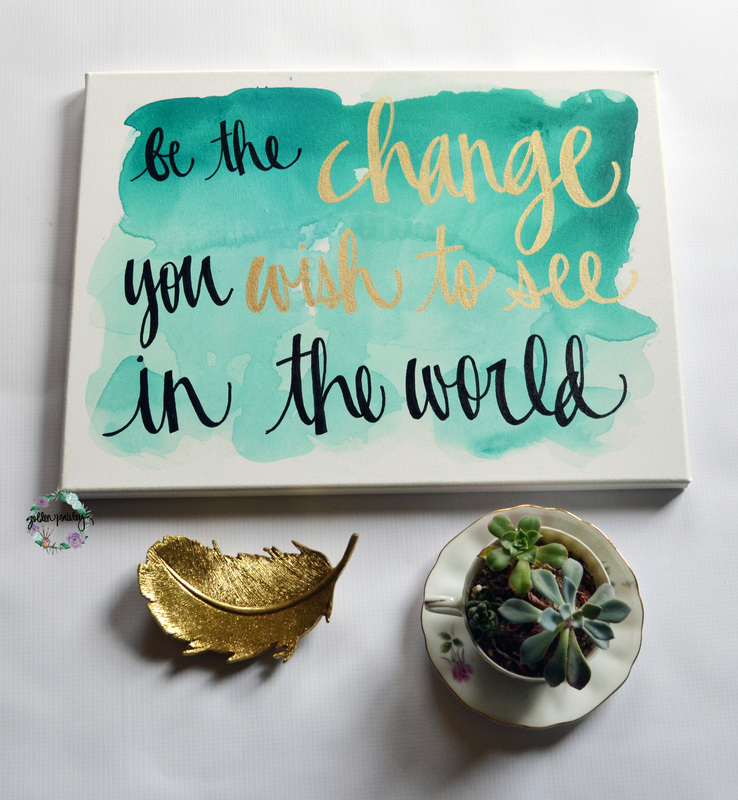 This painting features an inspirational phrase that is sure to improve your outlook on life if you choose to live by it. 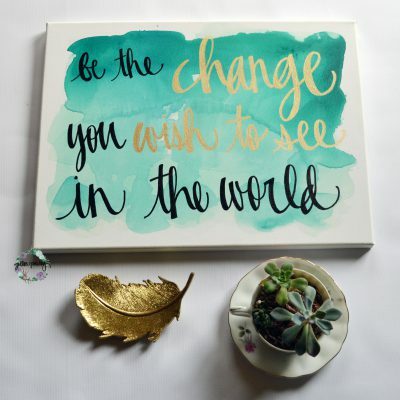 I love how inspiring and motivating this quote is! 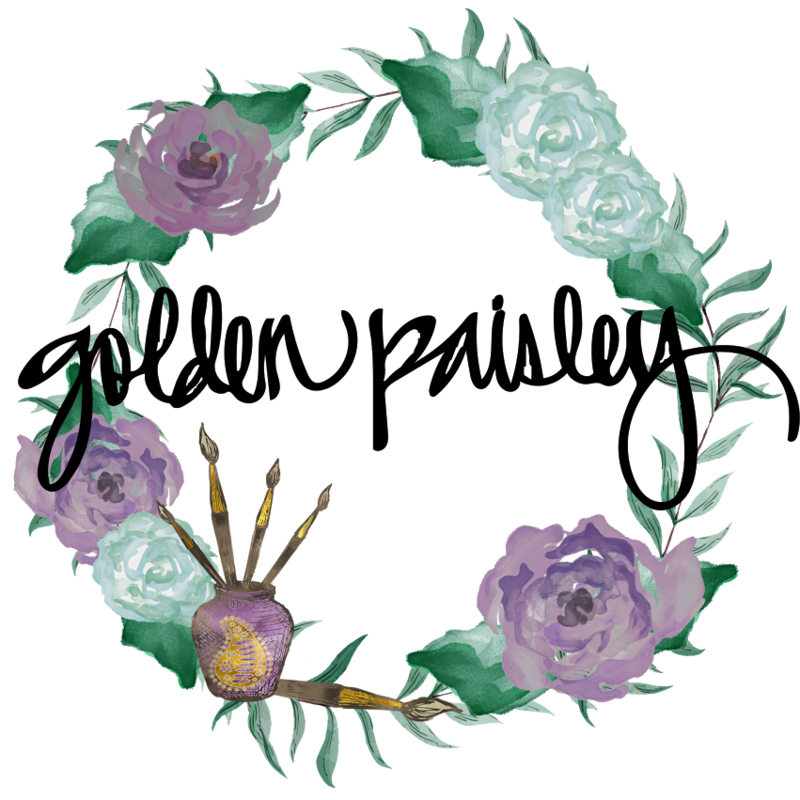 Each canvas features a handpainted emerald colored watercolor background, with the text handpainted in black and gold on the front. 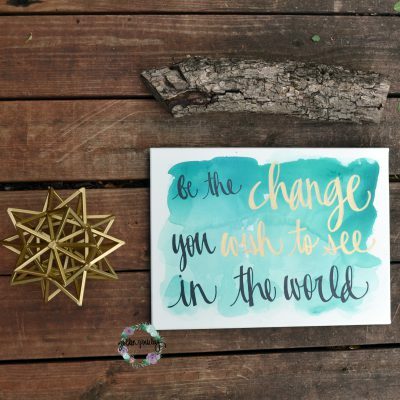 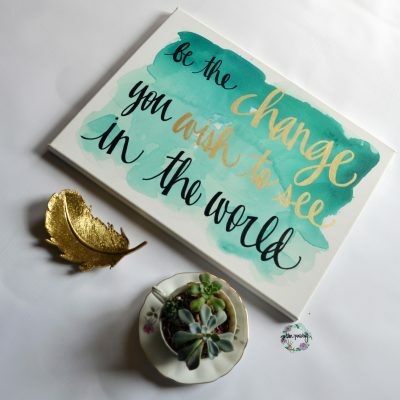 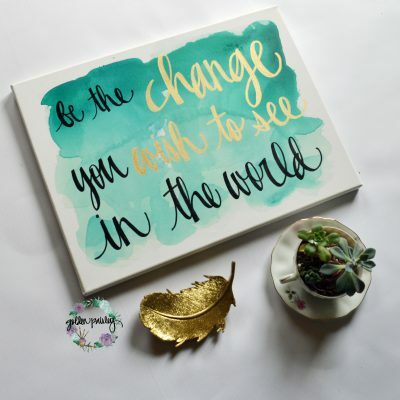 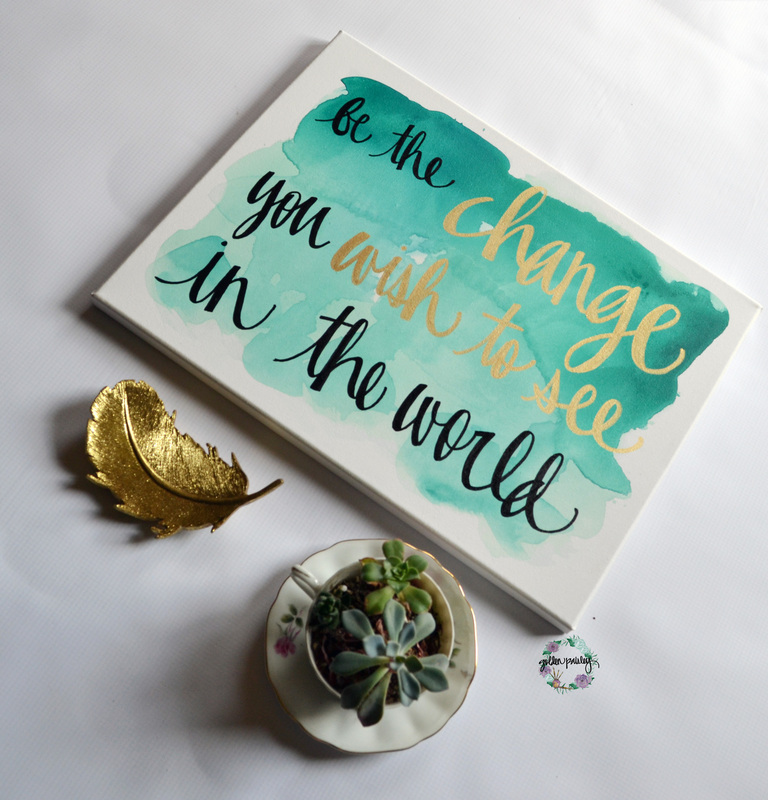 Decorate your home or make an addition to your gallery wall with this uplifting quote art!